The magnet position transducer may be used for monitoring level, position etc. A line on one of the sensors sides indicates where the magnetic pickups are placed, and the measuring range. Make sure the distance between the passing magnet and the transducer are within range and follows the right trajectory. 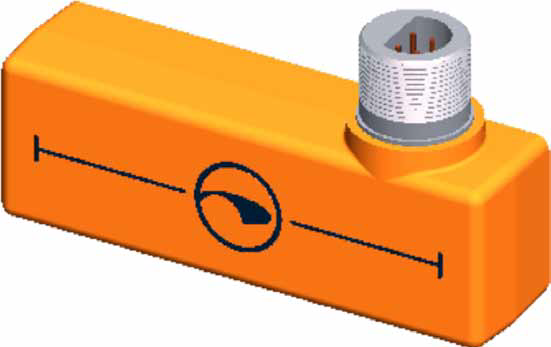 When a magnet is within the sensors range, it will output a linear signal 4-20mA over its range. If a voltage output is needed, connect pin 3 and 4, and the output will be 2-10V. PIN3: 500Ω terminated to ref.